John F. I agree. Attach-wedge is a VERY bad choice. Charles Fair does. The expert name for that page is 4-4 point low approach, attachment, wedge - which is hardly misleading. Attach-wedge is just a nickname. Bill: Pardon my American ignorance. "Fair does"??? No comprende, sennor. What experts are you talking about? There is a standard nomenclature, isn't there? Charles As in 'names for experts', rather than 'names by expert(s)'. 'Fair does' may be from the playground. A systematic name can be critised as part of a system. An alias name can be criticised on other grounds, no doubt. I don't see that both comments can be answered simultaneously. Bill: Sorry, Charles, I still do not understand the phrase, "Fair does." John F. Let us treat each other fairly, make allowances, etc. And I understood that you were talking about names for experts. I still do not know what group of people you are talking about. Besides, how about names for the general go playing population? (Sebastian:) Maybe it helps to take pressure from the exact wording if we add some diagrams. Please take a look at TaxonomyTest and let me know what you think. Two side development vs corner and exit to the center. Two solid, two weak groups. Of course, this is not for the purpose of indexing for a search. For indexing one needs a catalogue or index or dictionary. Charles So many comments. Well, the current systematics was something I put in place half a year ago; and this is essentially the first comment it has provoked. By the way, the 'taxonomy' business was not my idea. 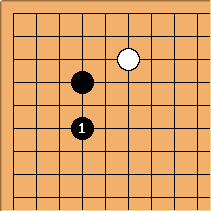 Bill, the idea I was working with back then was to conceptualise various ways people might search for or find the joseki pages (right now there are about 475 such). Type a name directly into the search box. Now if you adopt ways 1 and 3 you don't need to know the page naming system. If you follow 2 the names come up as a lexicographic list, and the important thing is that names be consistent (related variations cluster). The last way, 4, is what I'd call an expert method. That is, for the SL user who both can visualise the precise variation, and translate that in terms of the name. I chose what seemed to me to be 'good enough', consistent names. Bill: So you mean expert in this terminology, no? Now, if anyone wants to add alias names there is no reason at all for them not to do so. For example, I guess John doesn't like attach-wedge because it would be tsuke-hanekomi in Japanese, not tsuke-warikomi? That's a different kind of point from saying that attach-extend is attach, extend, while attach-wedge is attach, wedge in. The second point would carry more weight with me, for systematic purposes. John, would you be happier with tsuke-hanekomi? aliased to the said page? John F. My problem with attach-wedge is this. Implicitly, Japanese usage is being used as a model for all the terms. I have nothing to say against making up new terms that exist in English only, but as long as the implicit model is there, I think you need to follow the rules of the model. 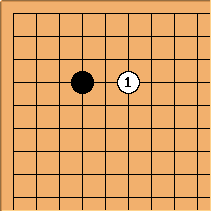 That means in constructions of the type attach-extend the player doing the two actions has to be the same one (which is the rule in Japanese). Attach-wedge therefore should mean I-attach-I-wedge, but is actually I-attach-you-wedge. Maybe some boolean-ish symbolism like attach&extend but attach^wedge would convey the differences. Charles Roughly what I said, in different language? This is only an abbreviation, after all. Attach-wedge in is somewhat better, I suppose. John F. I don't think so, but we seem to be on a totally different wavelength. Tsuke-hanekomi and tsuke-warikomi or any other Japanese term does not enter my thinking at all (en passant, I'd call it a warikomi but that is totally irrelevant). I'm saying that when I see attach-extend and attach-wedge I see them as formed from the same model. Conditioned by the underlying Japanese construction of tsuke-nobi (as I think most of us are), I instinctively expand these English forms into the format I-verb-I-verb. When I discover that attach-wedge actually expands to I-verb-YOU-verb, I feel cheated, let down, betrayed, deceived, disoriented, discombombulated. Charles No, I think I understand what John says. But ordinary English usage suggests more like attach-and-extend. Probably too late for that. Bill: To me, attach - wedge seems more like the actions of a single actor, while attach, wedge seems more like an action by one person and a response by another. Charles See attach-crosscut, attach-crosscut corner patterns (the latter aren't called joseki, because that might be a misnomer.